This post was written in partnership with OneVanilla. 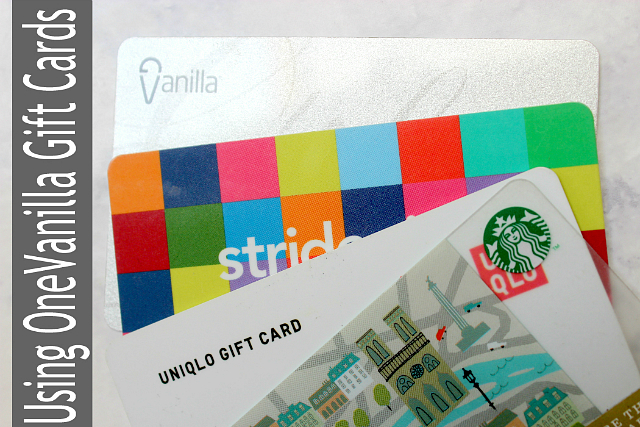 Whether you are shopping for everyday essentials, traveling, or a need a gift for someone special, OneVanilla Visa gift cards are the perfect choice. They are easy to use and accepted at retailers, grocery stores, gas stations nationwide. Or if online shopping is your thing, use OneVanilla prepaid Visa gift cards to make your purchases easily and conveniently once your register your zip code online. I'm a big fan of using my debit card for everyday purchases. It's so simple and convenient to pull it out and swipe it. When I was offered a chance to try the OneVanilla prepaid Visa, I couldn't wait to start using it to see how it compared to my debit card. 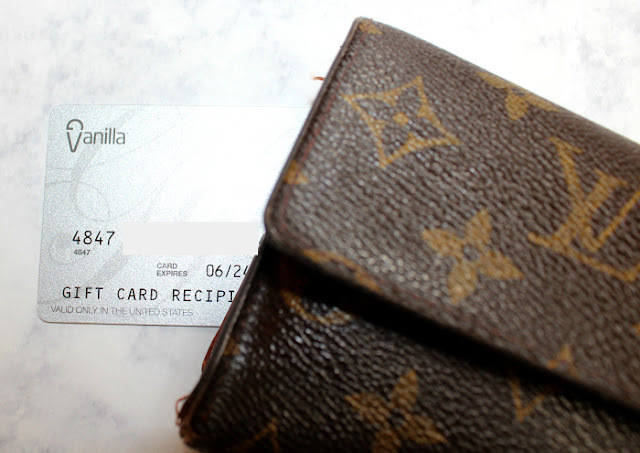 My OneVanilla Prepaid Visa card arrived in the mail, and just in time for the OFF 5TH Saks Fifth Avenue sale! I wanted to put the card to test for online purchases. Before making online purchases with the OneVanilla gift card, you must register your zip code online. Once that's complete, you are free to shop away! I bought a tote bag and a pair of Jack Rogers sandals. I entered the card number, expiration date, and 3-digit security code on the back of the card at checkout just as I would do with my debit or any other credit card. Moments later my transaction was complete! Online purchases with OneVanilla? Check. I popped the card into my wallet for future use. I soon found myself at the grocery store with no cash on me. At first I panicked, but then I quickly realized I had the OneVanilla gift card. I swiped it, chose "Credit", and my receipt printed. How easy was that? After several uses of my OneVanilla gift card, it occurred to me that this type of gift card is perfect for my daughters. When they have their own spending money, they are more mindful of how they are spending it. They tend to put more thought and consideration into their purchases that they normally wouldn't do when I am forking over the money. On a recent trip to the mall, I allowed them to use the gift card, giving each of them a set amount to spend. Allowing them to have a OneVanilla gift card for spending was a brilliant idea. They took great care in thinking about each purchase and weighing the pros and cons. They were also in a sort of competition to see who could have a large balance on the card at the end of our shopping trip. That was definitely an added bonus. On a recent class trip to Washington, DC, I sent the OneVanilla card with my daughter so that she wouldn't be carrying cash around with her. It was the first time she was away from home for a few days without an adult or family member to take charge of her money. It was the best decision! She bought a sweatshirt using the card and even used it at a vending machine to buy a bottle of water. You can split transactions. Many other Visa gift cards do not allow you to split the transaction. It's all or nothing, meaning if you don't care enough money to cover the full balance, you can't use the card. But OneVanilla allows you to use your balance and pay the remainder with another debit/credit card or cash. Know your balance. This is always a good habit to establish no matter what type of credit or debit card you are using, but it's a good idea to check your OneVanilla balance online at www.onevanillavisa.com. You want to save yourself the embarrassment of declined card, and in the event that you want to split a transaction, you'll know exactly what balance you are carrying on your OneVanilla card. OneVanilla is not an ATM card and cannot be used as such. You can use it anywhere VISA cards are accepted including at gas stations. When dining out, it's a good idea to know that balance on the card since many restaurants will put a hold on the card to cover the tip. OneVanilla cards are available in denominations up to $500. There is an initial fee to load and activate the card, and OneVanilla Prepaid Visa gift cards are not reloadable. 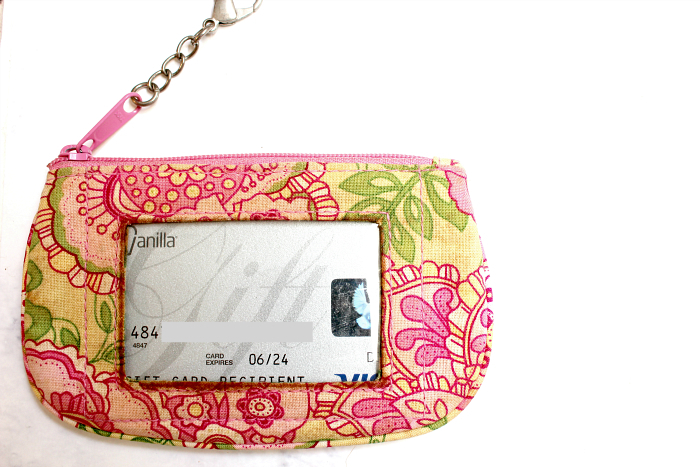 Once purchased and activated, One Vanilla cards can be used immediately. For more information about OneVanilla Prepaid Visa cards, visit www.onevanilla.com/. This post was written in partnership with OneVanilla. I received a pre-loaded OneVanilla card to facilitate this post.